Charakter: GRAPE VARIETALS: 90% Sangiovese, locally referred to as "Prugnolo Gentile", 10% Merlot. VINEYARDS - Place of production: Vineyards belonging to the Lodola Nuova estate, located near the small town of Valiano. High and medium hilly land, calcareous, poor in skeleton, with clayey, limestone texture and subalchaline ph. Deep soil of medium fertility. Microclimate: Characterised by hot and dry summers which favour an ideal maturation process of the grapes. Elevated day-night temperature swings. Altitude: 290 - 320 meters above sea level Exposure: The vineyards are located on the top of the Lodola Nuova hill. This gentle slope permits a good south, south-west exposure of the grapes. Growing system: Cordon Trained Vine density: 5000/5700 wines per hectare All the vineyards are of modern conception. VINIFICATION AND AGEING - Harvest: The "Nobile di Montepulciano Riserva" stems an accurate selection of the best grapes. The harvest started mid October and was completed with several passages in the vineyards in order to pick the grapes at the right state of maturation. The yield of grapes per hectare was 6,5 tons. Fermentation: The alcohol fermentation, aided by racking and punching down, took place in stainless-steel vats at a controlled temperature of 27/29°C for 2 weeks and was followed by a further maturation on the skins for another 15 days. Ageing: After the malo-lactic fermentation, the wine was refined in 35/60 hl French oak casks for approx. 30 months, followed by a refining period in the bottle for 6 months minimum. Alcohol content 13,5% vol. SENSORY PROPERTIES - Colour: Deep garnet red Aroma: Ethereal, intense and very complex with a myriad of floral, fruity and spicy notes: Violet, small red and black berries, plum marmalade and cinnamon, rosemary and cloves, coffee and tobacco just to mention a few. Tasting profile: Great and noble structure. Very harmonious with a huge mass of velvety tannins. The intriguing fruity and spicy notes lead to a lingering aftertaste of ripe fruit and chocolate. LODOLA NUOVA VINO NOBILE DI MONTEPULCIANO RISERVA WAS FIRST PRODUCED IN 1999. "Falstaff Magazin" has rated the wine "Ruffino Lodola Nuova Vino Nobile di Montepulciano DOCG, Tuscany, Italy" the vintage 2010 on 31.05.2013 with 88 of 100 points. "Wine Spectator" has rated the wine "Ruffino Lodola Nuova Vino Nobile di Montepulciano DOCG, Tuscany, Italy" the vintage 2007 on 31.10.2010 with 88 of 100 points. "Vinum Wine Magazine" has rated the wine "Ruffino Lodola Nuova Vino Nobile di Montepulciano DOCG, Tuscany, Italy" the vintage 2006 on 01.04.2010 with 16 of 20 points. "Wine Spectator" has rated the wine "Ruffino Lodola Nuova Vino Nobile di Montepulciano DOCG, Tuscany, Italy" the vintage 2006 on 31.10.2009 with 87 of 100 points. "Vinum Wine Magazine" has rated the wine "Ruffino Lodola Nuova Vino Nobile di Montepulciano DOCG, Tuscany, Italy" the vintage 2005 on 01.03.2009 with 15 of 20 points. "Wine Enthusiast" has rated the wine "Ruffino Lodola Nuova Vino Nobile di Montepulciano DOCG, Tuscany, Italy" the vintage 2006 on 06.01.2009 with 87 of 100 points. "Vinum Wine Magazine" has rated the wine "Ruffino Lodola Nuova Vino Nobile di Montepulciano DOCG, Tuscany, Italy" the vintage 2004 on 01.10.2007 with 16 of 20 points. "Wine Spectator" has rated the wine "Ruffino Lodola Nuova Vino Nobile di Montepulciano DOCG, Tuscany, Italy" the vintage 2003 on 31.10.2006 with 86 of 100 points. "Falstaff Magazin" has rated the wine "Ruffino Lodola Nuova Vino Nobile di Montepulciano DOCG, Tuscany, Italy" the vintage 2003 on 05.05.2006 with 85 of 100 points. 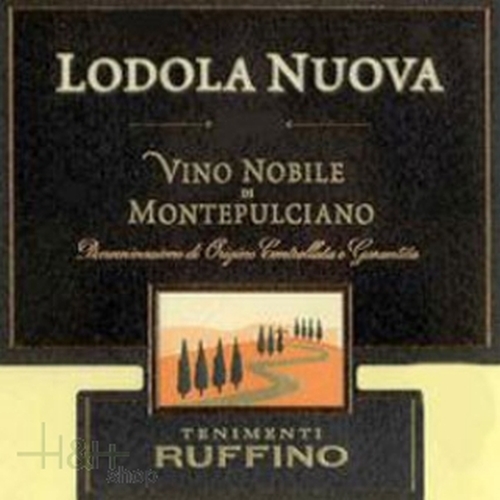 "Vinum Wine Magazine" has rated the wine "Ruffino Lodola Nuova Vino Nobile di Montepulciano DOCG, Tuscany, Italy" the vintage 2002 on 01.10.2005 with 15 of 20 points. 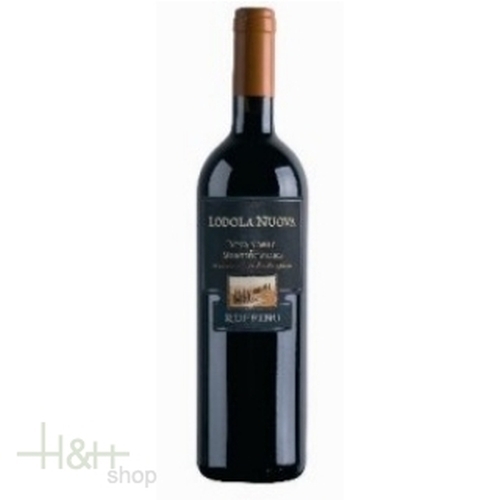 "Wine Enthusiast" has rated the wine "Ruffino Lodola Nuova Vino Nobile di Montepulciano DOCG, Tuscany, Italy" the vintage 2002 on 07.01.2005 with 84 of 100 points. "Wine Spectator" has rated the wine "Ruffino Lodola Nuova Vino Nobile di Montepulciano DOCG, Tuscany, Italy" the vintage 2001 on 31.10.2004 with 86 of 100 points. "Vinum Wine Magazine" has rated the wine "Ruffino Lodola Nuova Vino Nobile di Montepulciano DOCG, Tuscany, Italy" the vintage 2001 on 01.09.2004 with 16 of 20 points. "Wine Spectator" has rated the wine "Ruffino Lodola Nuova Vino Nobile di Montepulciano DOCG, Tuscany, Italy" the vintage 2000 on 31.10.2003 with 84 of 100 points. "Vinum Wine Magazine" has rated the wine "Ruffino Lodola Nuova Vino Nobile di Montepulciano DOCG, Tuscany, Italy" the vintage 2000 on 01.10.2003 with 15 of 20 points. "Wine Spectator" has rated the wine "Ruffino Lodola Nuova Vino Nobile di Montepulciano DOCG, Tuscany, Italy" the vintage 1999 on 15.10.2002 with 85 of 100 points. "Vinum Wine Magazine" has rated the wine "Ruffino Lodola Nuova Vino Nobile di Montepulciano DOCG, Tuscany, Italy" the vintage 1999 on 01.10.2002 with 14 of 20 points. "Wine Enthusiast" has rated the wine "Ruffino Lodola Nuova Vino Nobile di Montepulciano DOCG, Tuscany, Italy" the vintage 1997 on 03.01.2002 with 88 of 100 points. "Wine Spectator" has rated the wine "Ruffino Lodola Nuova Vino Nobile di Montepulciano DOCG, Tuscany, Italy" the vintage 1997 on 30.09.2000 with 87 of 100 points.